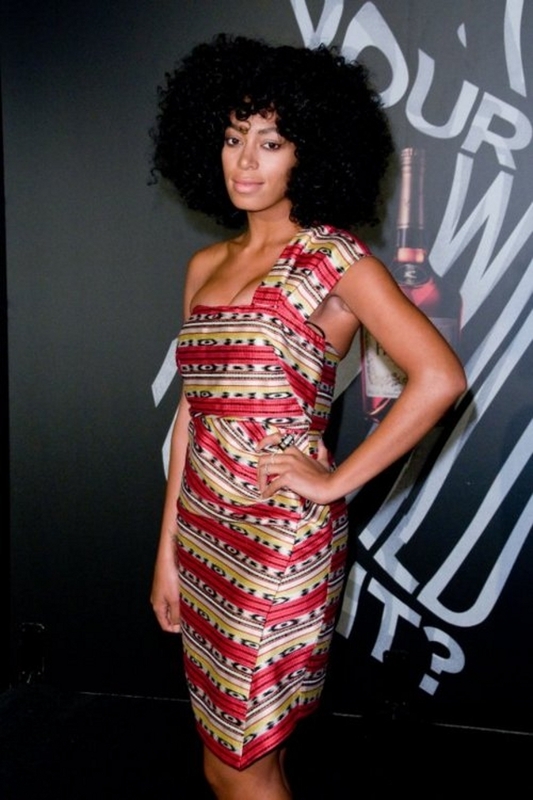 You already know who it is...Ms.Solange Knowles! She recently shared her hair regimen with Garance Dore. (Below)... Looks like she keeps it simple! "Carols Daughter Monoi oil shampoo and conditioner." Once a week I set up a time where I wash and deep condition and very carefully comb out my hair, always starting with the ends first. Yesterday was that day, and so I literally popped in a dvd (My Week With Marilyn to be exact)…sectioned off my hair with clips, and combed. 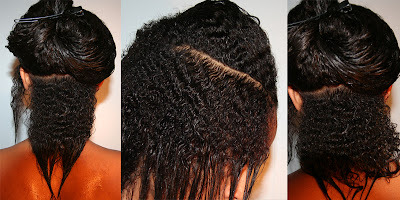 I usually sit under a heat cap to penetrate the conditioner and when it’s all clean and rinsed, I twist it with two strands of hair into twists. When I take them out, I shower again …not getting the hair wet, but letting the steam frizz my hair up a bit more. 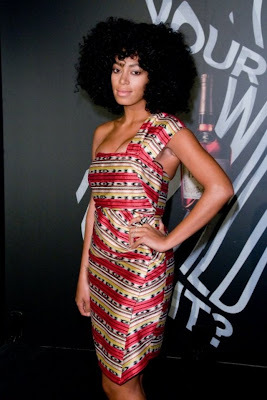 Solange is looking better than her big sister these days I must say.